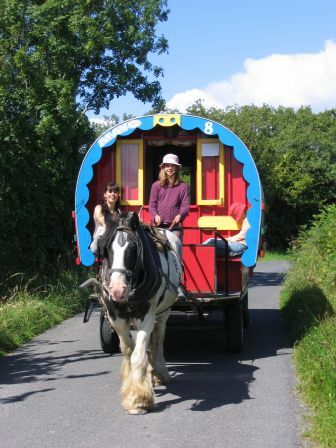 With your horse and covered wagon, explore the beautiful Irish countryside at a leisurely pace. 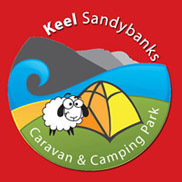 Stay overnight at selected farm sites. Walk, cycle, fish, play golf and eat out. Drink in our Irish pubs and enjoy traditional Irish music. Bring the children along! Meet the real people of Ireland! Your specially-schooled Irish horse will take you and your beautiful four-berth caravan along the quiet roads of Mayo and you will have the holiday of a lifetime! Your horse-drawn covered wagon allows you, and three other people, to sleep and cook for yourselves as you travel along the quiet roads of beautiful South Mayo, stopping overnight at farms, country houses or pubs on the way. For practical reasons we require a minimum of two active and capable persons per caravan! Travelling at walking pace, nature's beauty is yours to observe, appreciate and enjoy as only the wanderer can. Far from the madding crowd, with your horse as your special friend, you'll get close to the heart of Ireland. You scarcely need any experience with horses. All you need is the willingness to learn, experience and enjoy something completely different. This is a holiday where you and your horse decide the pace. You may choose to have a very quiet, leisurely, intimate break, or you may prefer to fill your time with activities. Fishing - fishing rods and advice free of charge! Farm Activities - like to pitch in and give a hand? Irish Music sessions - we'll tell you where! Bring a musical instrument! Meet people - well, that's unavoidable!